Pantone colour of the year .... always a hot topic. 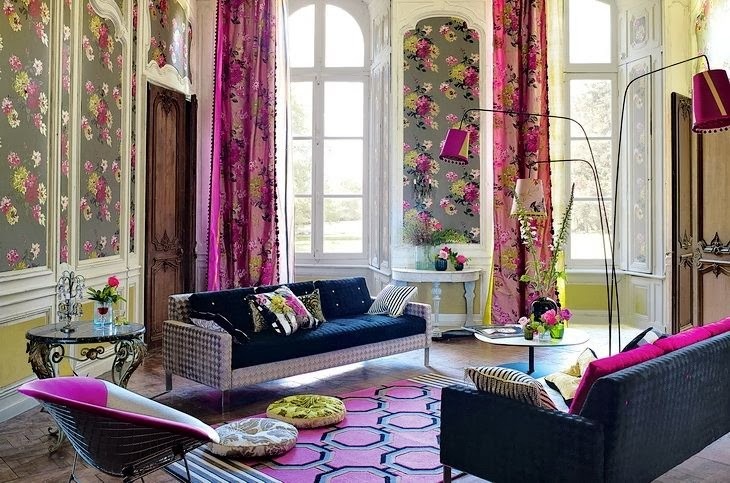 The trends with interiors and clothing fashion are more aligned that ever. 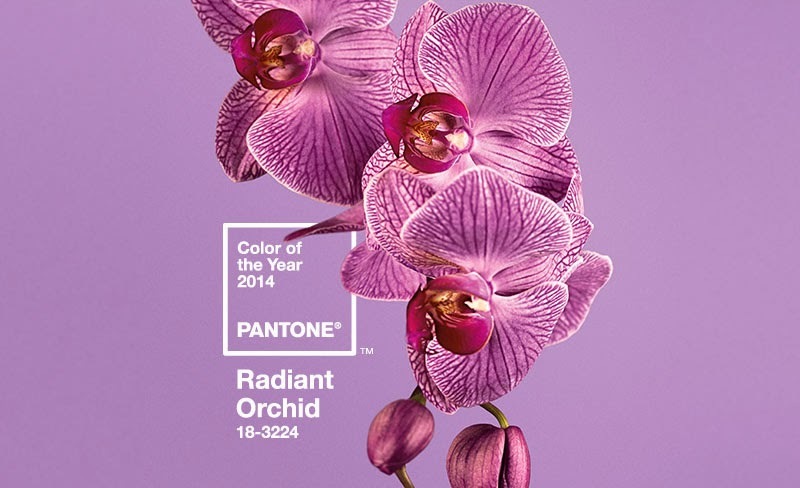 Recently Pantone, who have a long tradition in identifying international trends in colour, made waves by announcing their "Color of the year 2014"; Radiant Orchid. 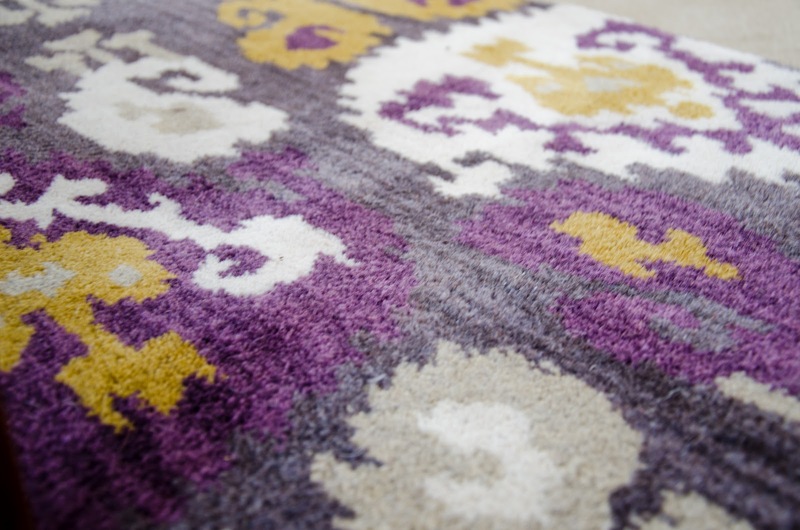 "A captivating harmony of fuchsia, purple and pink undertones". It hasn't been received with an overwhelmingly positive response, I would suggest this is because when you imagine a room made over in its entirety as Radiant Orchid and it is a little hard to stomach. 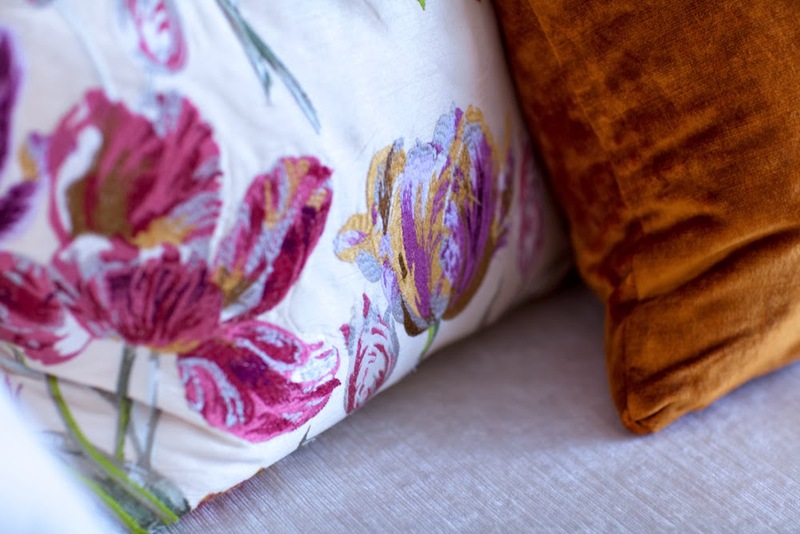 As part of the detail on this floral cushion. out the colour in the bricks and mortar. to the room, without overwhelming the space. I also think this would be very successful as an upholstered occasional chair (imagine a luxurious fabric with a sheen), incorporated into a patterned wallpaper (Designers Guild comes to mind straight away, as pictured to the right) or even a velvet bed head. 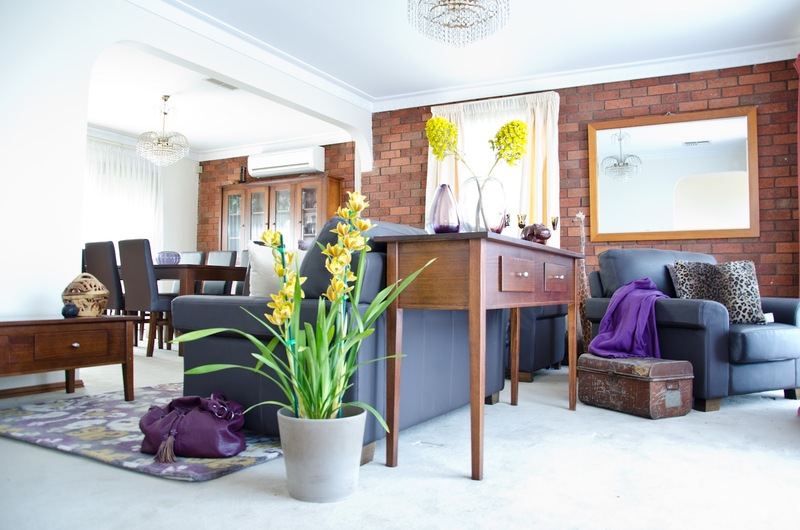 I think variations of "Radiant Orchid" will work well when positioned against the grey paint colours that are enormously popular at the moment, as well as with crisp white or timber.